. . . but let's not forget Thanksgiving. One week ago, all of the kids were out in various homes in Lustre or in various places with their families, and we all took a pause and celebrated Thanksgiving. I have so much to be thankful for living in Lustre and living in this dorm with these kids. There's a sign hanging in the girls' entry way made by Kimberly Klatt. 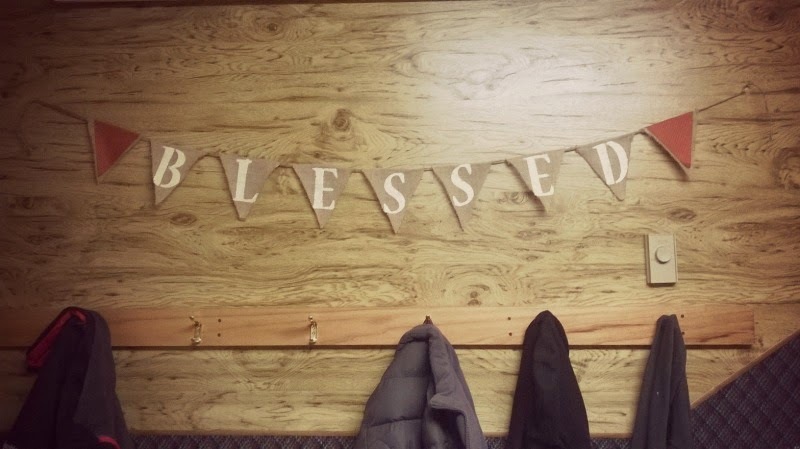 It says "BLESSED." What a good reminder. Blessed we are. I am so thankful for each of the 14 kids who are now a part of us. I'm thankful for the growth I've experienced through the process, for the growth I see in these kids. I'm thankful for an incredible cook (Jean Toews) who does our evening weekday meals. I am so very thankful for the love that guides our dorm committee (John and Lavonne Toews, Jean and Daryl Toews, and Alicia and Dawson Olfert). I'm thankful for the Christian values that guide the school board. I'm thankful that this dorm stays warm in the winter! I'm thankful for every kind heart who prays for us, who gives us goodies and invites us over for meals, who write us notes of encouragement. Thank YOU! We are BLESSED! The kids came back to the dorm this past Sunday night after their dorm weekend out. 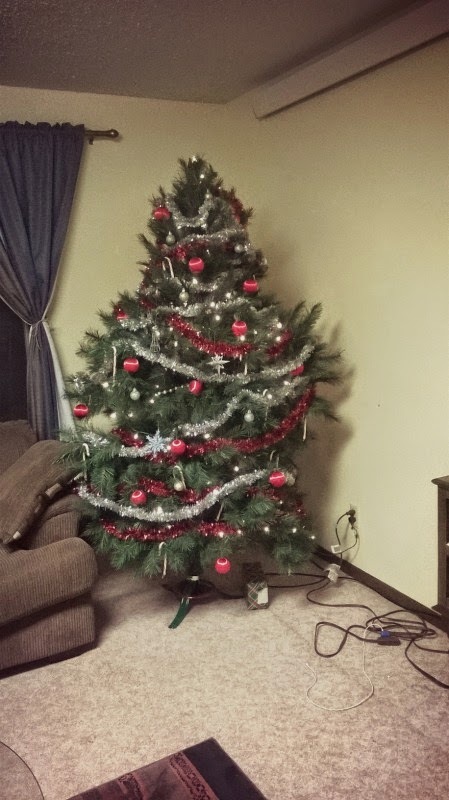 Sweet friends are letting us borrow their Christmas tree, and beginning on Sunday and through this week we've been adding a few more decorations, bit by bit. 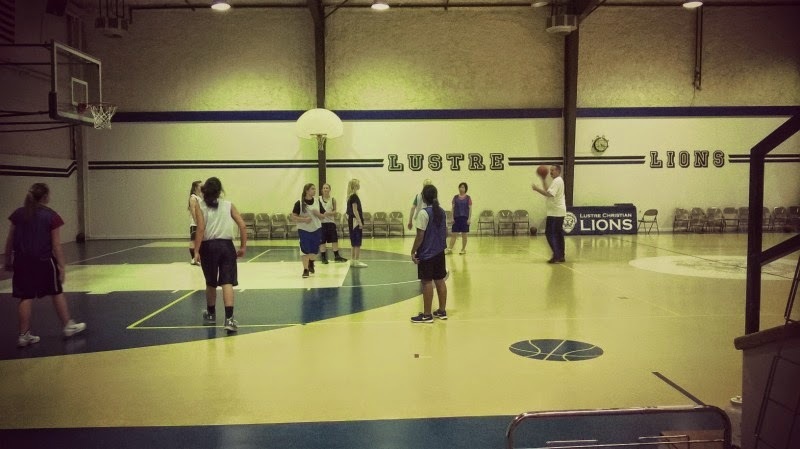 With this season also means the start of Basketball! 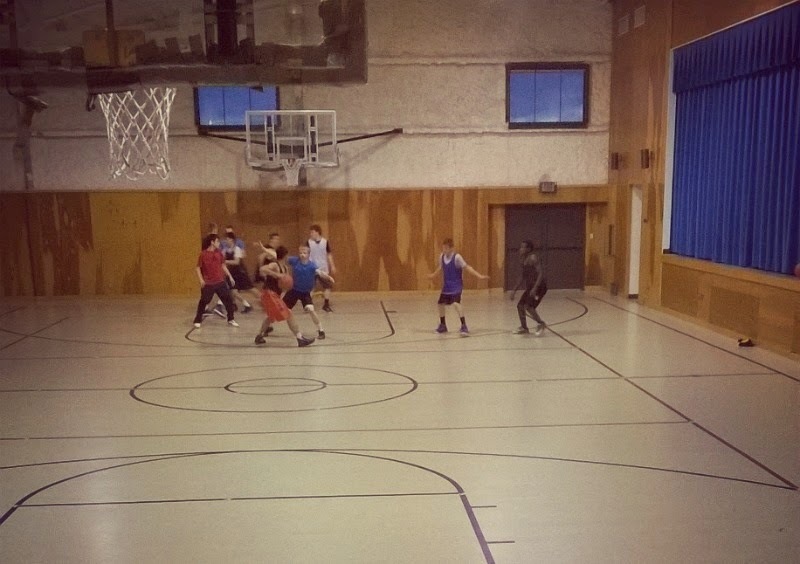 The dorm is very quiet in the afternoon with most of the kids in the gym practicing. The countdown is definitely on for Christmas break. Two weeks and one day. We're getting closer! As we count down though, there are so many blessings to count off in thanksgiving to God. He has sure been good to us through these past 3-1/2 months. We know we will continue to see His goodness in the months ahead. Thank you again for following along in our journey! We are thankful for YOU!